Send audio or text notes from your Apple Watch in one tap. Send content from a website or a link from other Apps in one tap. 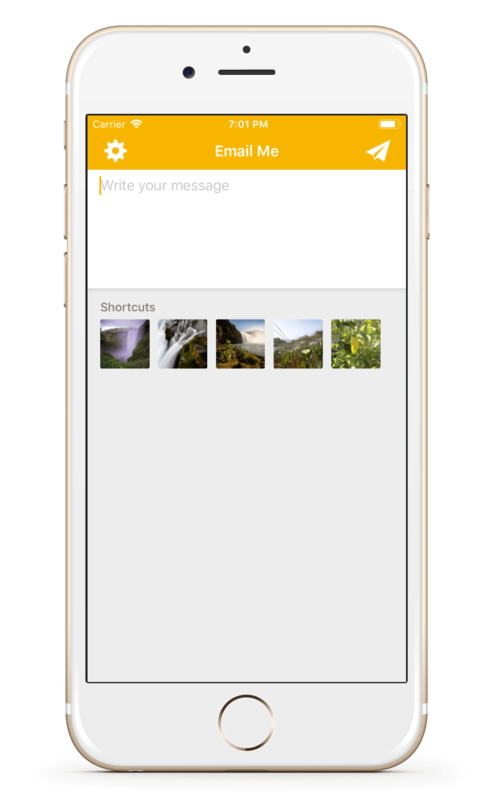 Send the latest images from your Camera Roll in one tap. Configure default email subject and email alias. Use Email Me Today Widget to send yourself a note. Change the App font to your desired size so it is easier to read and use in different device screen sizes. Enable or disable sounds to hear when a note has been either sent or failed. Download the App now to check out everything it has to offer.